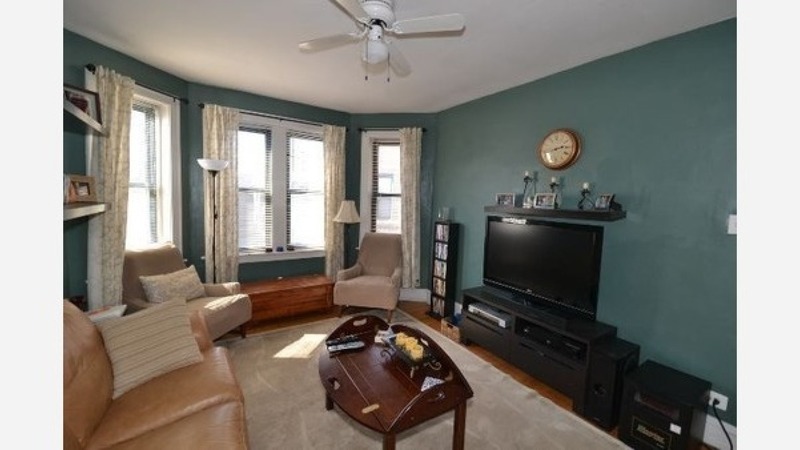 What will $1,500 rent you in Lakeview, right now? According to Walk Score, this Chicago neighborhood has excellent walkability, is very bikeable and has excellent transit. Data from rental site Zumper shows that the median rent for a one bedroom in Lake View is currently hovering around $1,450. Here's this one-bedroom, one-bathroom apartment over at 1719 W. Barry Ave. It's listed for $1,500/month for its 750-square-feet of space. On-site laundry is offered as a building amenity. In the apartment, there are air conditioning hardwood flooring, a dishwasher and a patio. For those with furry friends in tow, know that cats and dogs are permitted on this property. Check out this 800-square-foot one-bedroom, one-bathroom apartment at 2948 N. Seminary Ave. It's also going for $1,500/month. In the unit, you'll get hardwood floors, high ceilings, a fireplace, a spacious closet, a dishwasher and a breakfast bar. On-site laundry is offered as a building amenity. Pet lovers are in luck: cats and dogs are welcome. Located at 839 W. Melrose St., here's a one-bedroom, one-bathroom residence that's listed for $1,497/month. The apartment features central heating, hardwood flooring, high ceilings, a dishwasher, a walk-in closet and a balcony. The building has storage space, secured entry, assigned parking and on-site laundry. Cats and dogs are welcome here. Next, there's this one-bedroom, one-bathroom apartment located at 817 W. Cornelia Ave. It's listed for $1,495/month for its 725-square-feet of space. In the unit, there are hardwood floors, a fireplace, closet space, a dishwasher, granite countertops and a spiral staircase. Building amenities include on-site laundry. Good news for animal lovers: both dogs and cats are welcome here. Located at 3845 N. Greenview Ave., here's a 750-square-foot one-bedroom, one-bathroom apartment that's also listed for $1,495/month. Apartment amenities include hardwood floors, a fireplace, high ceilings, generous closet space, a dishwasher, in-unit laundry, a deck and bay windows. If you've got a pet, you'll be happy to learn that cats and dogs are welcome.